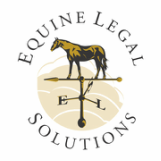 Customers often ask why Equine Legal Solutions doesn't allow customers to edit the equine legal forms they purchase from us. Other than the fact that all our forms are copyrighted, and allowing customers to make derivative works would dilute our intellectual property rights, we want to protect our customers from themselves. Contract drafting is a technical skill. Just like dentists and carpenters, lawyers receive specialized training and then hone their skills through experience. However, while most people wouldn't even consider filling their own cavities or building their own staircases, they seem to have no reservations about drafting their own contracts. Why? The simple answer is delayed consequences. While the disastrous results of do-it-yourself dentistry and carpentry are immediately obvious, it takes time to find out whether a contract is a disaster. In my equine law practice, I see a wide range of equine contracts, and the vast majority of them are very poorly drafted. When I review the contracts with potential clients and gently explain how they might not do what the potential clients need them to do, the potential client is rarely surprised. They sigh and ruefully explain that a chat forum buddy sent them a sample document, or they cobbled together the contract using pieces of other contracts they found on the Internet. They didn't want to spend the money to have a professionally drafted contract, so they created their own and hoped for the best. And unfortunately, they are now paying the price. (1) The contract doesn't include all the material terms. Part of a lawyer's job in drafting a contract is to anticipate contingencies and plan for them. As an equine attorney, I hear about or are directly involved in thousands of horse transaction problems, and I use that knowledge of potential issues in drafting my contracts to make sure those "what ifs" are covered. -Horse installment sale contract doesn't address what will happen if the buyer doesn't finish paying for the horse. -Liability release doesn't include all the parties being sued. If the release doesn't include you, it can't protect you! -Boarding contract lien provisions are insufficient to allow the boarding stable to sell a horse to satisfy a past due board bill. The boarding stable must then rely upon statutory lien rights, which are usually time-consuming and costly to enforce. (2) The contract doesn't say what state's law will apply, or where the parties can sue each other. Why does this matter? Here's a very typical example: Sally, who lives in California, buys a horse from Stanley, who lives in Texas. Sally goes to Texas, tries the horse, and buys it. Later, Sally discovers a problem with the horse and calls ELS about suing Stanley. The bill of sale that Sally received from Stanley in Texas says nothing about what state's law will apply or where the parties can sue each other. Sally will probably have to sue Stanley in Texas, because that is where Stanley lives, and where the contract was made. (3) The contract doesn't provide for attorneys' fees and costs if the parties sue each other. Why does this matter? In most states, with some very limited exceptions, if you sue someone for breach of contract and you win, the loser doesn't have to pay your attorneys' fees and court costs unless you have a contract that says they do. With the typical breach of contract lawsuit costing a minimum of $10,000 to litigate, your attorneys' fees and costs could easily eclipse what you might win in a lawsuit, making it cost-ineffective to sue. Cost is the number one reason why horse people draft their own contracts instead of using a professionally prepared form or a lawyer-drafted contract. However, at the end of the day, is it really a cost savings to draft your own contracts? Sure, you might save $24.99 by not buying a liability release form from Equine Legal Solutions, but will that savings be justified when someone falls off your horse and sues you for $1.5 million? And you might not think you can afford to pay $750 for ELS to draft a customized contract for the sale of your $50,000 stallion in which you are retaining breeding rights, but you'll be glad you spent that $750 when the buyer resells the stallion before your breeding rights expire and you are not left wondering what to do because your contract says exactly what will happen.